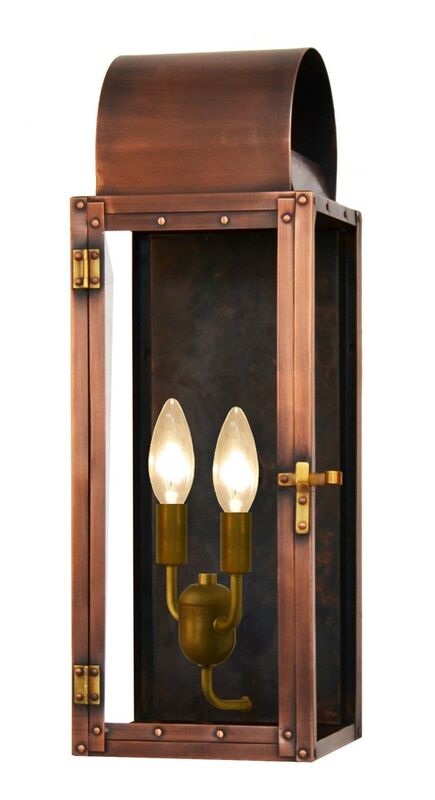 This Whitney Collection 2 light 18'' antique copper finish wall lantern, complemented by clear glass. The candelabra gives off the ideal amount of light to accent your area of need perfectly. Includes installation hardware, easy instructions and template for convenient setup.